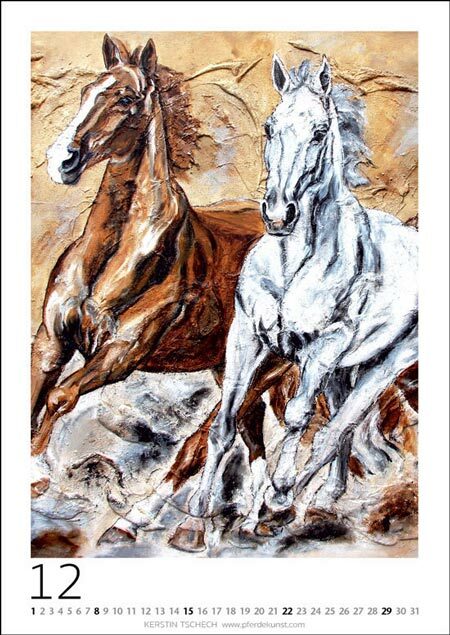 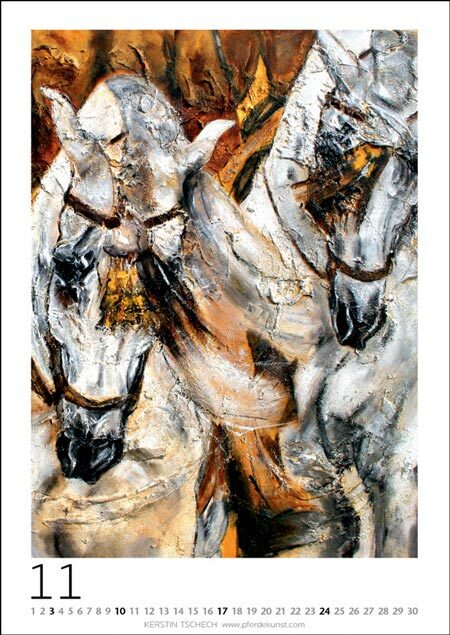 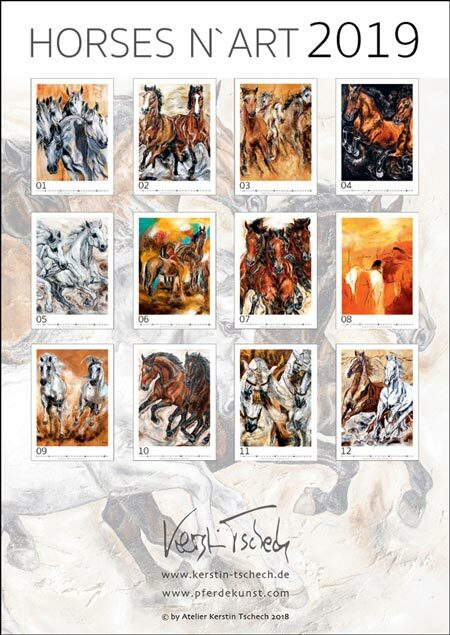 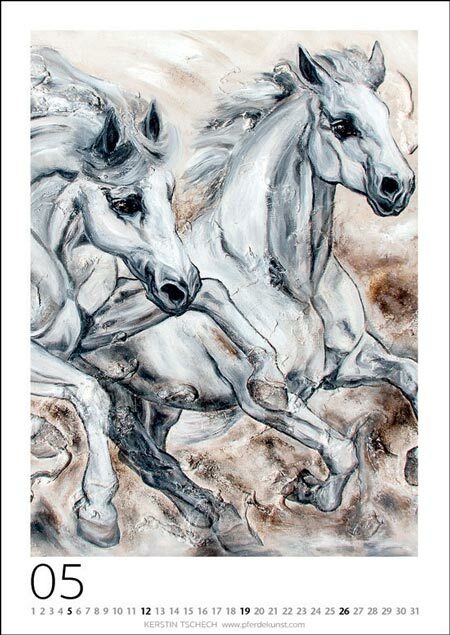 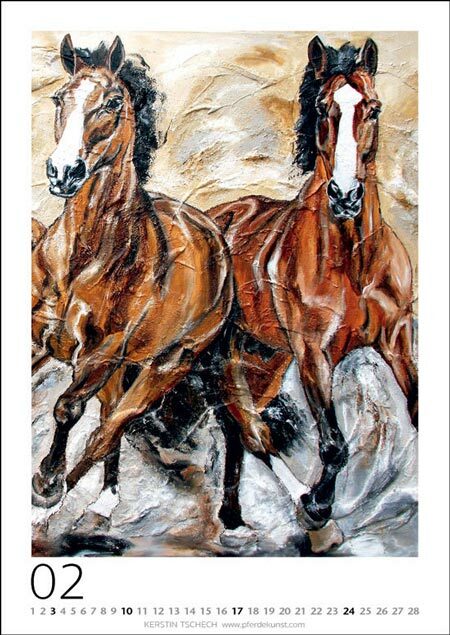 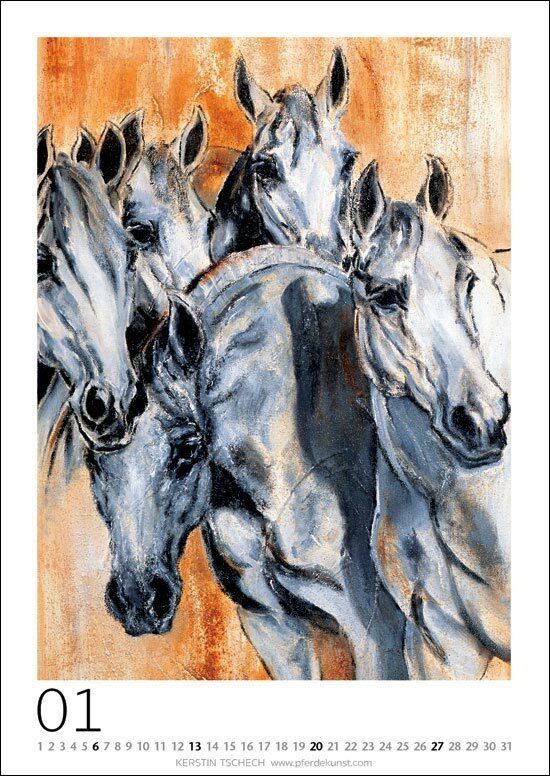 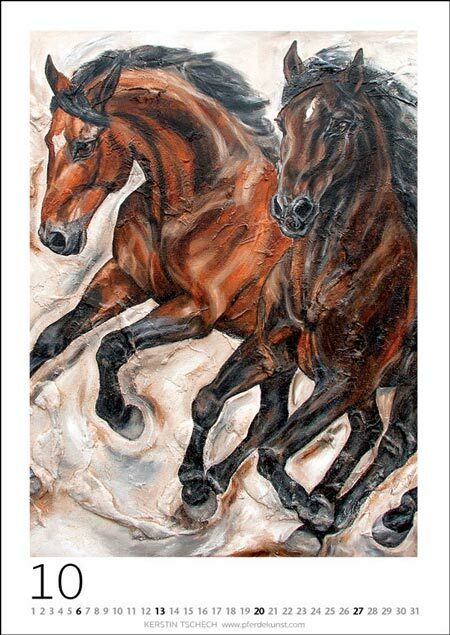 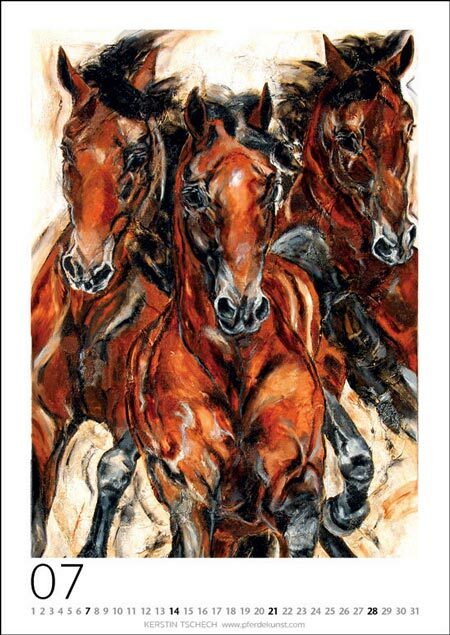 In the new HORSE ART Calendar you can find a multiplicity of exclusive paintings with atmosphere. 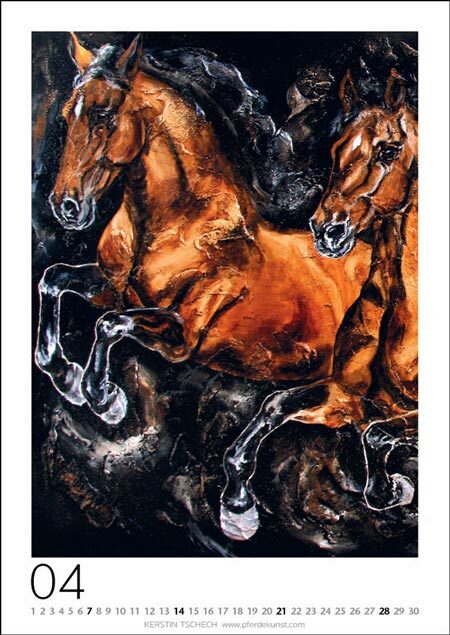 The horse subject is abstractly, as well as pictorially moved. 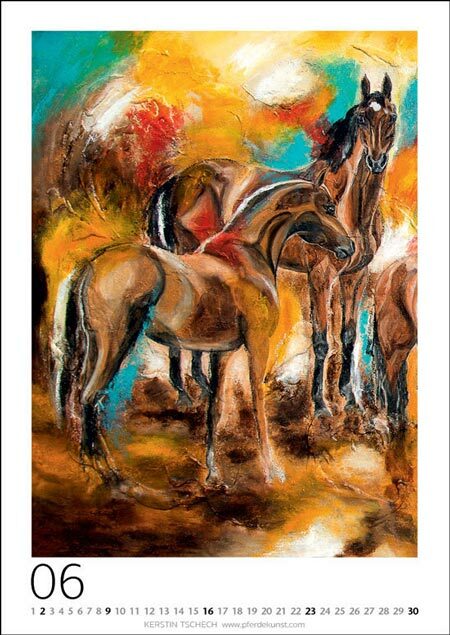 There are found near portrait paintings, but also parts of different compositions which accompain you in a pleasant and manysided way through the year. 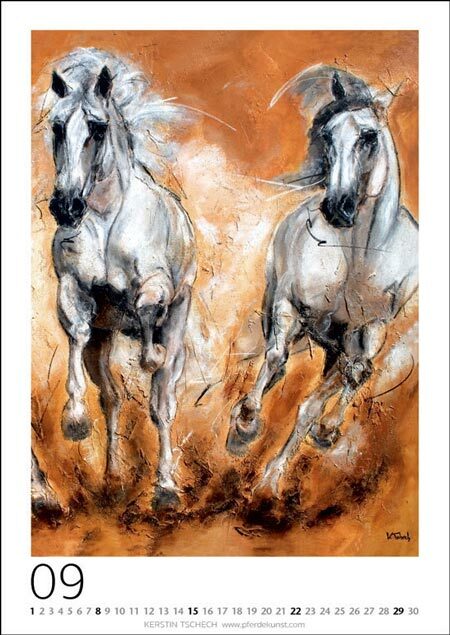 In noble design the paintings come particularly to the validity. 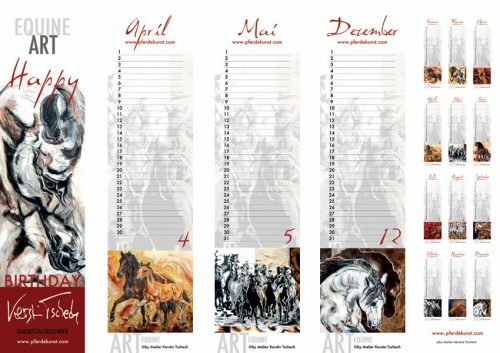 The art calendar is provided with a stable return cardboard and is printed on 300 g Chromoluxpaper, what underlines its high priority. 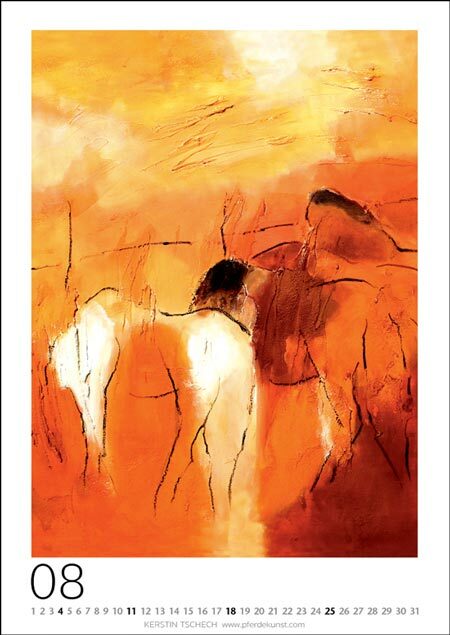 The dispatch takes place in a stable packaging. 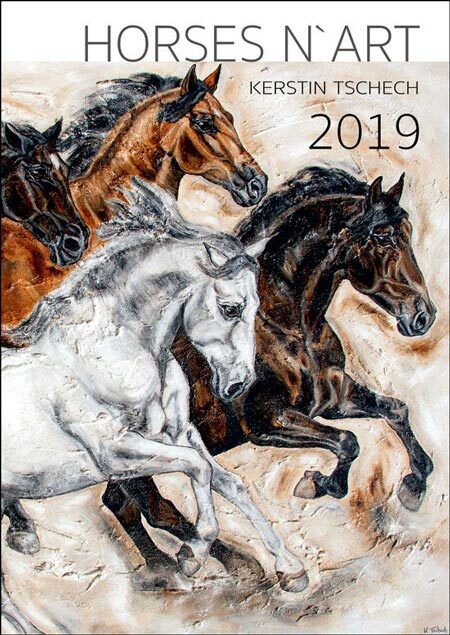 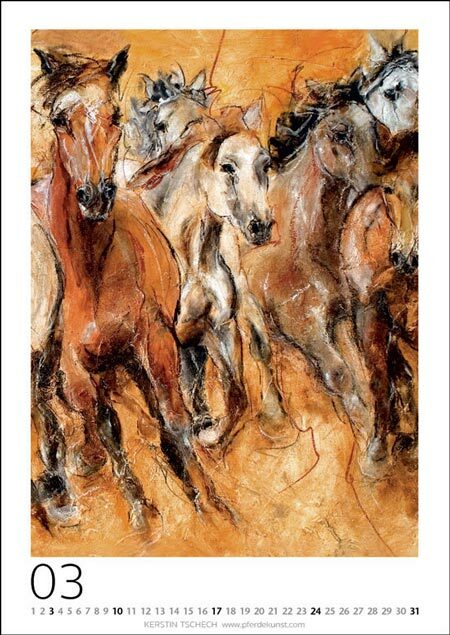 Categories: HORSE CALENDARS, HORSE ART CALENDAR 2019.